Southern Star RV Park is located in the town of Pearsall, TX, in FrioCounty the hometown of the great country singer, GeorgeStrait. We are only 45 – 50 minutes South of San Antonio, TX off I-35, Exit 104. Once you exit 104, we are only 2.1 miles into town. Southern Star is family owned, built, operated, and managed. We recently re-opened in 2013 but we have been in operation since the mid 70’s. We temporarily closed in October 2012 to upgrade the park by putting down nice caliche roads, trimming up the grown trees for nice shading during the hot summers, and we added new services like Free WiFi and Direct TV. We are in a secluded neighborhood setting, perfect for families. We are conveniently located to movies, restaurants, and shopping. Pearsall has a population of about 20,000 and is still growing due to the recent Eagle Ford Shale oil boom. Local attractions include: Oaks Theater, FrioPioneerJailMuseum, Pearsall Public Library, several parks, and a Sports Athletic Complex with ¾ miles of jogging trail. 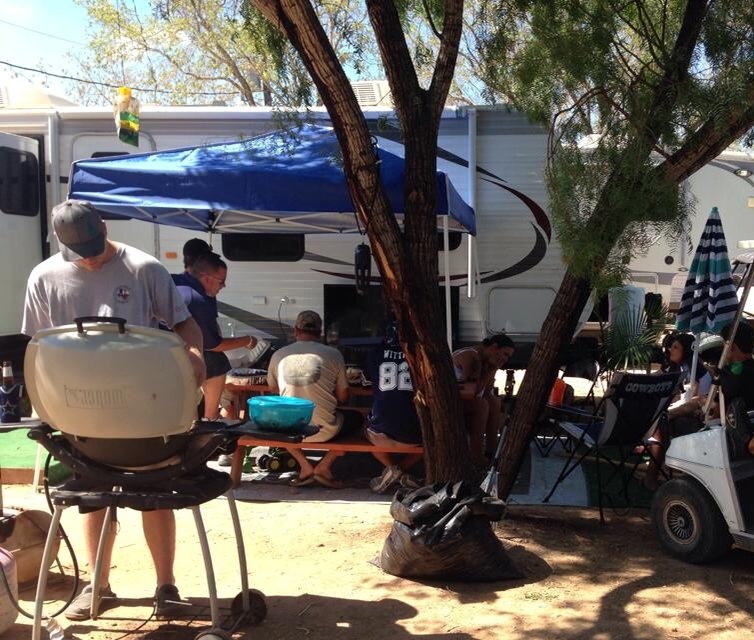 This RV Park is located in a friendly neighborhood community, so you will feel right at home. It’s all about location, residents in the area enjoy walks in the neighborhood and proximity to certain amenities, like parks, restaurants and shopping. We currently have 51 RV spaces, but if it is housing you are looking for, we also offer RV Rentals, with flat screen TV’s, kitchen area, and cozy beds. Southern Star is a Five Star rated park and has excellent reviews on yp.com. Onsite propane refills are also available for your convenience. Reserve Your Spot Today!! Located Pearsall, Texas, Southern Star RV Park is a Secluded neighborhood with mature groomed trees. Near restaurants and shopping. Click to view our stunning grounds.